Imad Wasim comes on to bowl after a year out of the side, Sarfraz Ahmed knows UAE pitches more than anyone, he is the master when it comes to starting with spinners in Dubai and Abu Dhabi, we've seen the skipper do that too often in the Pakistan Super League. Aaron Finch stands tall. Aggressive as he is, he rocks back on the first two deliveries in an attempt to clear the infield on the off side. Imad takes a good look at him on the first two balls; he slides the third one under his bat, it skids and rattles middle stump. Imad initiates his comeback. If anything was left, Faheem Ashraf bowls perfect length — neither short, nor too full — to bamboozle Australian power-hitters Chris Lynn and Glenn Maxwell. Other newbies find it hard to push the team forward. Before that, Babar Azam and Mohammad Hafeez give Pakistan the much-needed confidence in batting — nothing to worry about when even one of them is on the pitch. Team performance, first T20I won, case closed! Come second encounter, Babar makes his mark once again. A violent swing to clear mid-off deprives him off a well-deserved fifty, but he had done his job before that. Shoaib Malik replaces Hussain Talat for the second match. No one, absolutely no one has had a better comeback for Pakistan than this guy. 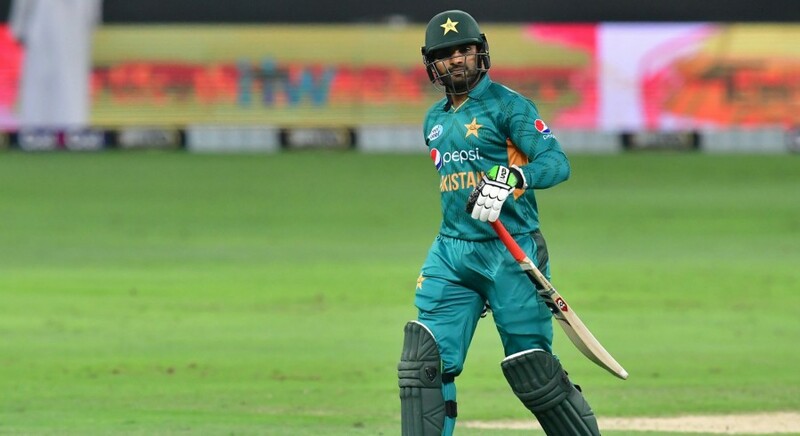 He look razor sharp with his shot selection, however, it somehow wasn't his day, but worry not, Hafeez is in the team. One part of the old guard, Hafeez shows why he still deserves a spot in the squad. Effortless drives, well-timed boundaries and a sense of taking the attack to the opposition and the bowler constitute his innings and game plan. Later, bowlers do their job once again, after a little hiccup, but they deliver the goods in the end. Second T20I won, series in the bag, case once again closed! Last outing, a dead rubber, nothing much on the line other than pride for both teams, and Pakistan end up on the winning, defending a third time, on the trot. Victory parade, celebration and once again praises are in order. Series finished with a whitewash, everything is forgiven and forgotten. Headlines claim Pakistan beat, thrash, whip and what not the mighty Aussies, and so it should be, Sarfraz and co had just downed one of the most difficult of opponents in the current times, or have they? Congratulations should surely be in order, but a deeper analysis of Pakistan's performances in the T20Is is also necessary, as New Zealand have landed in the UAE. Pakistan dominated the proceedings through and through against Australia, but small instances of brilliance, and at times stupidity, was all on the menu. Some might say we should enjoy the spoils of war and not think about the minor battles lost, but then there will be no purpose in victory. As from defeat, lessons can and should also be extracted from victory. Fakhar Zaman's form should be scrutinised. He was exceptional in the second Test, but found lacking when his preferred format called. Scores of 14 and 11 highlight that he cannot, at will, change gears when walking out of Tests and entering the limited-overs formats. Meanwhile, the literally useless presence of Asif Ali in the team and even in the squad needs to be looked at. He has, time and again, failed to deliver what he promised and isn't even a utility player who can bowl a few overs or pull a rabbit out of the hat while fielding. And while we're on the topic of fielding, Maxwell was dropped twice before he was finally caught by Malik off Shaheen Shah Afridi. A player like him could've taken the game away from Pakistan. Three more catches were dropped in the last T20I before Malik's spectacular feats. I hope someone is taking notes! Also, a few misfields here and there might not have hurt Pakistan much, as of now, since Pakistan is winning and on top of the T20I rankings, but if the Men in Green want to stay there, every small flaw, all the minor details will have to be worked upon before the limited-overs series against New Zealand starts. Australia had brought a second-string side to the UAE courtesy the ball-tampering scandal and injuries, so, slaying an already weak demon should not be counted as a 'great' achievement. Sarfraz and team deserve all the praise for rolling over the now not-so-mighty Aussies and lengthening their stay at T20I rankings summit, but if they want to stay there, they will have to add more to the hard yards they are already putting in.